VACCINE SURPLUS FROM 2009 – Canada: $200,000,000+ worth of unused H1N1 vaccine. United States: $455,000,000+ worth of unused H1N1 vaccine. France: approximately $750,000,000 worth of unused H1N1 vaccine supply. 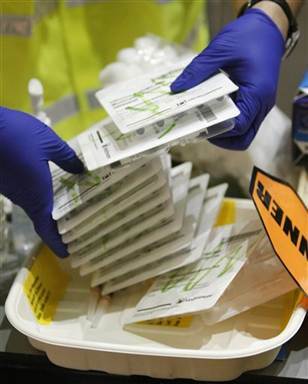 Britain: $250,000,000 worth of unused H1N1 vaccine supply (3.8 million doses). Germany: $300,000,000 (approximately 48 million doses wasted). Italy: $260,000,000 worth of H1N1 vaccine supply unused (40 million doses). Netherlands & other Euro countries: comparable waste. CANADA: $200,000,000+ worth of unused H1N1 vaccine (50% of total investment). 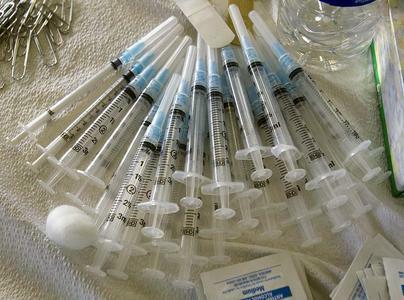 FRANCE: approximately $750,000,000 worth of unused H1N1 vaccine supply (94 million doses costing 1.5 billion dollars). ‘France has joined other European countries in selling off millions of its emergency swine flu vaccines, the government announcing Sunday it had bought far more than needed to fight the outbreak. “We started with a plan for two-dose vaccinations but since one dose is sufficient we can start to re-sell part of the stock,” a French health ministry official told AFP. Like Germany, the Netherlands and some other European countries, France has witnessed less demand than expected after spending 869 million euros (1.25 billion dollars) on vaccines for the A(H1N1) virus. BRITAIN: 37.8 million doses of H1N1 vaccine supply unused (approximately $250,000,000 worth). UPDATE: The British Government spent £239 million on swine flu vaccine up to the end of vaccine deliveries in April 2010, official figures show – a total net loss of $250,000,000 worth of taxpayer money. ‘There were still many leftover doses and some of these have been used this flu season after stocks of the seasonal flu jab ran low.’ NOTE: This explains the unusual spike in cases of H1N1 infection this season in the UK. GERMANY: $300,000,000 (approximately 48 million doses wasted). ITALY: $260,000,000 worth of H1N1 vaccine supply unused (40 million doses). NETHERLANDS: approximately $150,000,000 worth of unused vH1N1 vaccine supply (19 million doses). VRM Live – 01/28/11: Vaccine Resistance Movement founder Joel Lord discusses Synthetic Genomics, cloned cell vaccine technology & the death of natural immunity, gutter journalism & Dr. Wakefield’s imminent vindication with ‘Truth to Power’ host Paul Mabelis. VRM Live – 11/04/10: Vaccine Resistance Movement founder Joel Lord lays out the whole vaccine process with Paul Mabelis; including heavy metal toxicity, synergy, pregnancy issues & the basic principles of natural health at risk. VRM Live – 09/24/10: Vaccine Resistance Movement Founder Joel Lord & activist/radio host Jesse Calhoun lay it all out tonite. Topics include the VRM Worldwide Autism Study, Scientific/Medical dictatorship, Natural Rights & Vaccine Industry fraud exposed. Special thanks to host Paul Mabelis. If you appreciate the efforts to bring this information forward do consider making a donation. Any amount, no matter how small will help enable me to carry on this invaluable research. See Paypal link on the VRM website (click on ‘Donate’ tab in upper right corner). Thank you all.